A massive iceberg that has been floating close to a village in Greenland and threatening its residents appears to be veering away from the coast, toward the north, officials said. 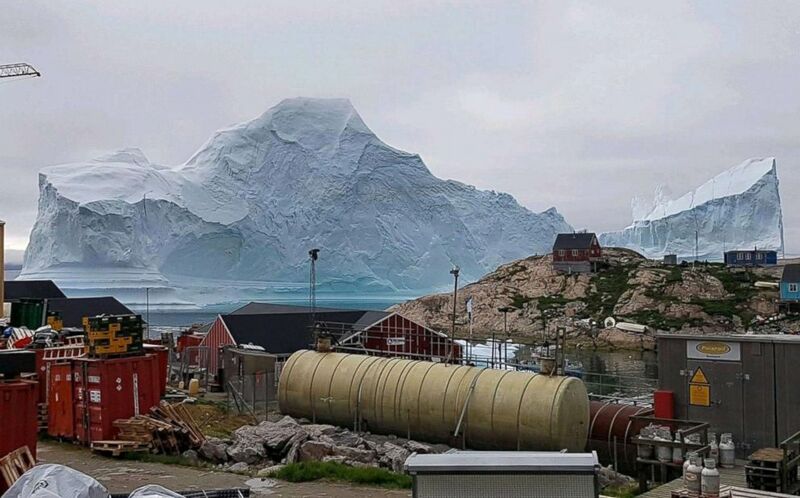 The village of Innaarsuit is home to 169 residents, some of whom have been evacuated as the iceberg looms over the coast. (Lucia Ali Nielsen via Reuters) An iceberg floats near the Innaarsuit settlement, Greenland, July 12, 2018. It is not clear if the iceberg will continue to move north or if it could move back closer to the village. As the iceberg melts, the fear is that gravity will cause a big chunk of it to break free, or that it will tip over, which could cause a huge wave to wash over the village, Rousøe explained. “There are big cracks in the iceberg, which could indicate that it could break,” he said. (Magnus Kristensen/Ritzau Scanpix via AP) An iceberg near the village Innarsuit, on the northwestern Greenlandic coast, July 12, 2018. Joint Arctic Command has sent an inspection vessel and a surveillance aircraft to the area. Rousøe said he is now waiting for more detailed information about what kind of threat the iceberg might pose from experts who are examining it. 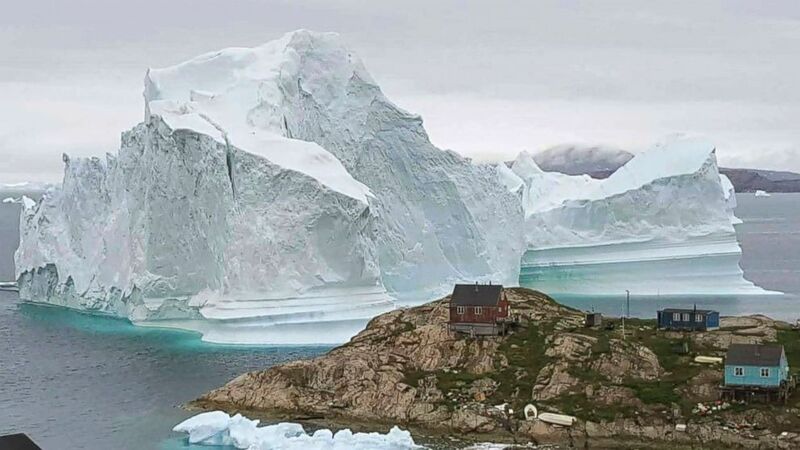 The residents of the village are used to icebergs floating by, but they are not usually as big as this one, he said.